Internet has become one of the powerful tools in the world. It has become so advanced that you can know what is happening all around the world in just few seconds; see the face of person who is in another part of the globe and purchase and sell items and services without even visiting the shop. Leaving the former points, let’s focus more on the latter point and that is “purchase and sell items and services without even visiting the shop”. Purchasing and selling items and services without even visiting the shop are known as ecommerce and this industry revolves around ecommerce website. When people no longer have to go from one shop to another and stop getting tired they are bound to purchase more and more items and services. They will just go through the items that are for sale quickly and then choose what they want. When they see various options they will obviously want to purchase a lot of items as well. So, if you are planning to open such ecommerce service then just visit an ecommerce web development company and give order for your ecommerce website. With an ecommerce website you won’t have to face bargaining customers nor will you have problems with payment method. 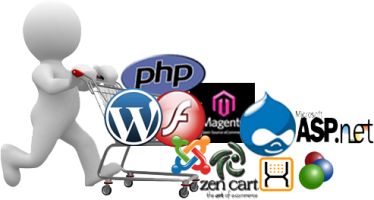 If you choose the right ecommerce web development in India then you can include great carting system in your website which will make sure that the customers can easily put items in their cart, purchase it and make the payments as well. Remember if your customers find it very hard to put items in cart, purchase it and make the payments then they will never purchase from you because no one would want to go through long and unnecessary hassle. So, you should try to make the carting and payment method very easy. The best part about ecommerce website is that they are not physical store. With physical store you cannot afford to change the interior design because they will cost you a lot. But, with ecommerce website you can change the design whenever you want. If you don’t like a certain design, then you can ask the ecommerce web development company to change the design into something else. If the design gets old after few months or years then you can make the order for new design. 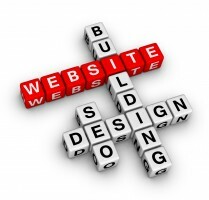 You can bring out all your designing interests out for the website. 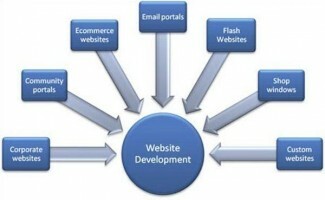 If you find the right ecommerce web development in India then all your ecommerce problems can be solved. Ecommerce is a great way to connect to more people and compel people from different places and countries to buy your items or services. If you are a small business then it’s even great for you because in the ecommerce sector the whole playing field between a large business and small business becomes the same.